Australians Damien Ingram and Stuart Cathcart led the way as overseas riders set the pace on the opening stage of the Liberty TransCape MTB Encounter today. 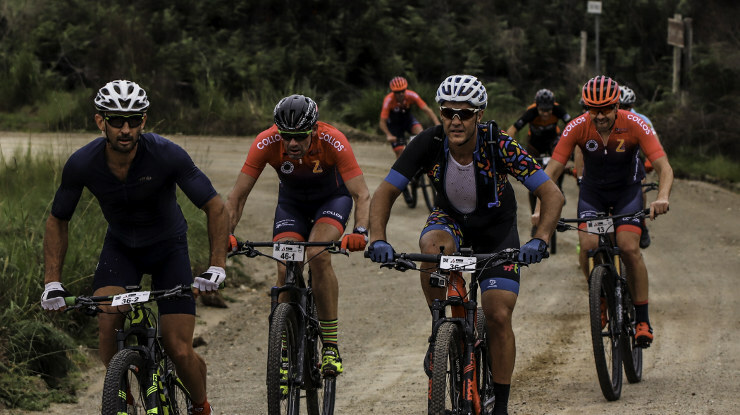 The pair won the 78km stage from George to Oudtshoorn, while Germany’s defending champion Udo Mueller led the way in the solo category. Strengthening the influence of international riders were Zbigniew Wizner and Pawel Gaca of Poland, who came in four minutes behind the Aussies, followed by Italians Marco Finazzi and Guilio Lodovico. Ingram, from Cairns, and Cathcart, from Canberra, who are visiting South Africa for the first time, broke away from the main bunch with 12km to go to win in 3:35:20. “The end result was a bit surprising for us because we came to South Africa to catch up with an old friend and to enjoy the ride through the Western Cape,” he said. “In the end it turned out be a bit more competitive than that and we had a bit more in our legs near the end, so we managed to create a gap with 12 kilometres left. Monday’s second stage will be over 100km from Oudtshoorn to Rooiberg Lodge in Vanwyksdorp.